Audi introduced the second-generation R8 V10 Spyder more than a year ago at the New York Auto Show, but it’s only now the droptop supercar is getting the powered-up Plus version. Like its fixed metal roof counterpart, the soft-top Spyder is blessed with Ingolstadt’s most powerful series-production engine, a naturally aspirated 5.2-liter V10 developing 610 hp (449 kW) and 413 pound-feet (560 Newton-meters) of torque. Thanks to the bump in power over the non-Plus model, Audi’s range-topping cabriolet conquers the 0-62 mph (0-100 kph) in only 3.3 seconds, thus making it three tenths of a second quicker than the “lesser” model. 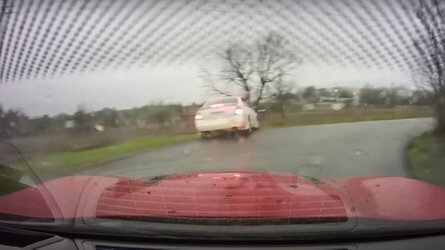 Top speed is also up by 6 mph (10 kph) to an impressive 204 mph (328 kph). 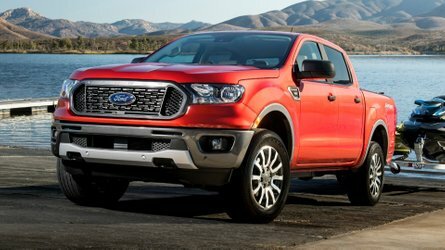 The improved performance is achieved not just thanks the upgraded engine, but also due to a lower weight as the Plus version slashes 55 pounds (25 kilograms) compared to the standard variant — enabling a dry weight of 3,498 lbs (1,587 kg). 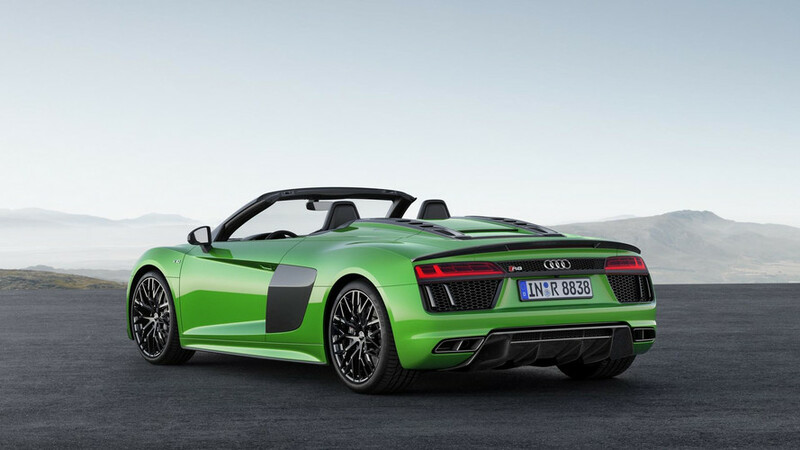 The car is being shown in a new micrommata green paint available exclusively on the R8 Spyder V10 Plus. It’s part of a namesake design package bringing along an anthracite grey look for the grille and black exhaust tips. The predominately black interior has Nappa leather upholstery and green stitching on some of the areas to provide a contrasting effect. As standard, the Audi R8 Spyder V10 Plus gets a multitude of goodies including ceramic brakes, bucket seats, light-alloy forged wheels, and the fantastic 12.3-inch digital instrument cluster. Audi is already taking orders for its new hot cabrio and is asking €207,500 in Germany. Deliveries will begin towards the end of this summer. 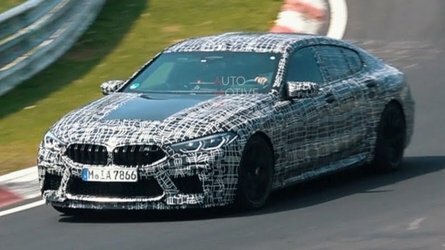 Pricing for the U.S. market hasn't been revealed, but it will command a serious premium over the $175,100 non-Plus model. As a final note, the R8 in both Coupe and Spyder guises can be had for the moment only with a V10, but rumor has it an entry-level version is in the pipeline with a biturbo 2.9-liter V6 engine and a more attainable price tag. 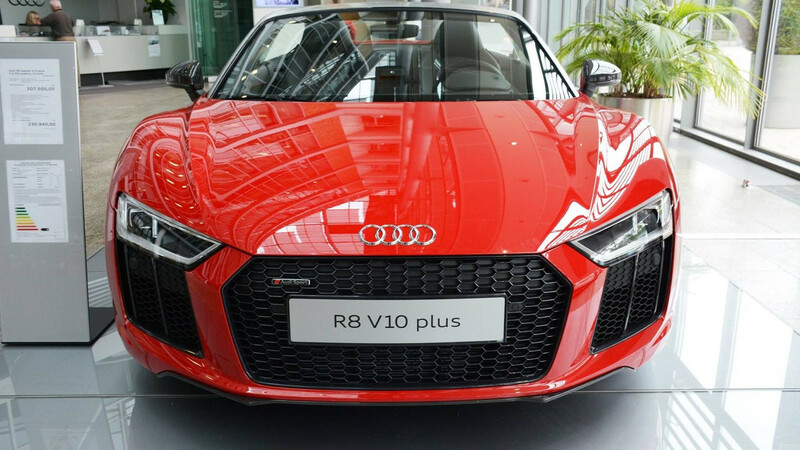 The Audi R8 Spyder V10 plus (combined fuel consumption in l/100 km: 12.5 l/100 km [18.8 US mpg]; combined CO2emissions in g/km: 292 [469.9 g/mi]) from the workshop of Audi Sport GmbH is the fastest series-production convertible model from the brand with the four rings. Its unmistakable 610 hp V10 mid-engine offers intense driving performance and powers the quattro permanent all-wheel drive. 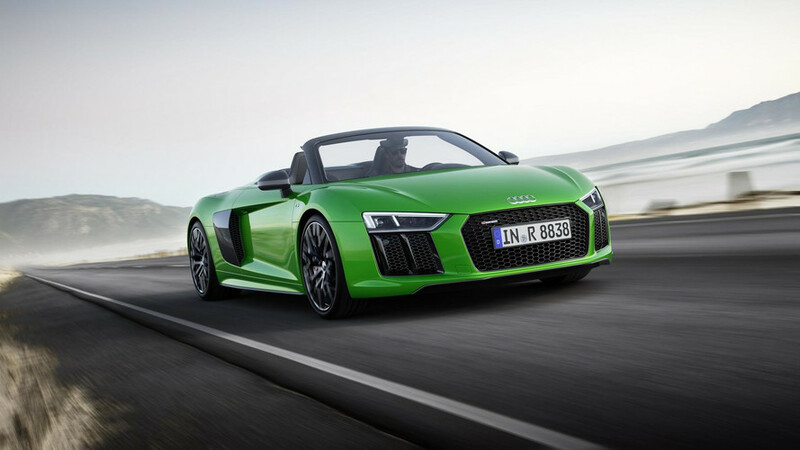 The standard performance program, R8 bucket seats and many components made from carbon fiber-reinforced polymer distinguish this high-performance sports car, with its exclusive micrommata green paint finish giving it an even more cutting-edge look. In the NEDC, the R8 Spyder V10 plus consumes 12.5 liters per 100 kilometers (18.8 US mpg), which corresponds to CO2emissions of 292 grams per kilometer (469.9 g/mi). Its efficiency technologies include the cylinder on demand (COD) system, which deactivates one cylinder bank at low to medium loads, as well as dual injection in the intake manifold and combustion chambers. 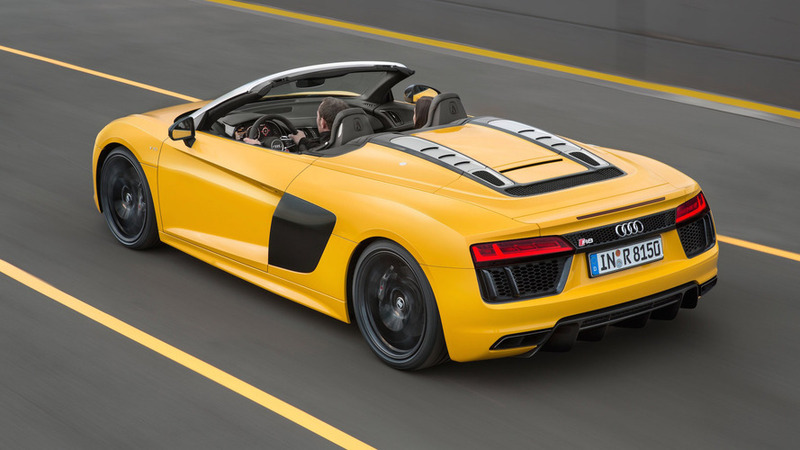 If the driver lets off the accelerator at a speed of over 55 km/h (34.2 mph), the engine disconnects from the drive – and the new R8 Spyder coasts at idle with minimal fuel consumption. When the car comes to a stop, a start-stop system deactivates the V10 engine. All four wheels of the Audi R8 Spyder V10 plus (combined fuel consumption in l/100 km: 12.5 l/100 km [18.8 US mpg]; combined CO2 emissions in g/km: 292 [469.9 g/mi]) are guided through aluminum double wishbone suspensions – this solution also demonstrates the model line's closeness to motorsport. 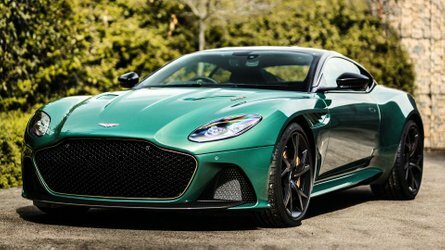 The setup is firm and the electromechanical power steering offers the ideal specific combination of precision, handling and confident high-speed behavior for a sports car. Dynamic steering with variable steering ratio is available as an option. This boosts the car’s responsiveness at all speeds, providing high-performance cornering characteristics and quick steering behavior. It countersteers with tiny impulses at the cornering limit to further improve stability.